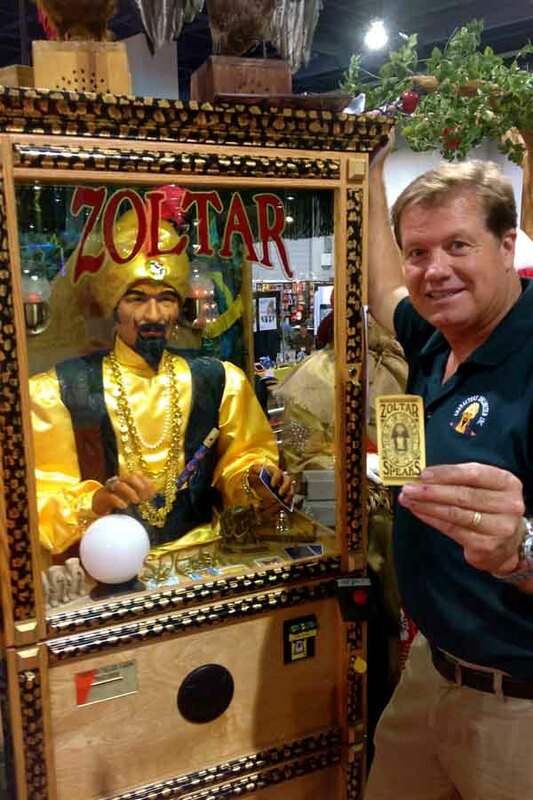 Zoltar Speaks® is the famous animatronic fortune teller found in arcades, theme parks, gift shops, homes, and various attractions all around the world. We are the owners of the trademark Zoltar Speaks® and serve to provide you with fortune tellers built to stand the test of time. View Zoltar machines that we have made in the past below.